MOL Walkin Drive For Freshers in Mumbai From 1st June – 6th June 2017. MOL Recruitment Notification has been out for a while. MOL is going to conduct Recruitment Drive in Mumbai for Associate, Senior Associate – (NonTechnical) positions. Preparing According to the MOL Interview Questions will make sure that Applicant is well prepared to crack the test which is conducted by MOL. These days Competition is very heavy for Associate, Senior Associate – (NonTechnical) Jobs. Aspirants who had completed graduation in any stream are preferred and contenders must have good knowledge about World Geography along with 0 – 1 years experience in shipping BPO, BPO Environment are eligible to attend MOL Careers 2017. To know more details about MOL Walkin Recruitment competitors have to read the entire post. So candidates have to concentrate very hard to get the desired job. Applicants have to tighten up their preparation by making a planner which will be comfortable for them. Following the planner in their own style and along with MOL Syllabus also ensures and boost up the confidence of the Applicant. For other IT Jobs and Placement Papers, candidates are welcomed to Go through our site All India Jobs for more Official Stuff. Ensure B/l Accurate manifestation done as per SOP and reference Manuals. Process SI request and provide customers prompt error free b/l and Invoices. Ensure CA’s & Corrections done. 0 – 1 years experience in shipping BPO, BPO Environment. Graduate from any stream (MBA Freshers do not apply). Good Team Player, Eye to Details. Interested aspirants can attend for MOL Walkin Recruitment 2017 in Mumbai from 1st June – 6th June 2017. 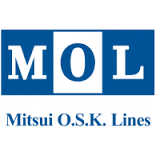 MOL is hiring 0 – 1 year experience candidates, so contenders can check the entire post for detailed information. Here we have provided the sufficient information for the candidates about MOL Walkin Drive 2017. We will provide all the latest updates regarding IT Jobs on our site. Keep visiting our website www.allindiajobs.in for further information and can also Bookmark this page.